Upholstery can become really dirty from just frequent use or from family pets who share the comfort of a nice couch. Oils from our hands and yard dirt brought in by children and pets can accumulate without an obvious appearance until one day it just does not look right. That is when its time to call Good Faith Carpet Cleaning. Providing high quality upholstery cleaning service is what separates Good Faith Carpet Cleaning from other companies because our training in upholstery care is second to none. 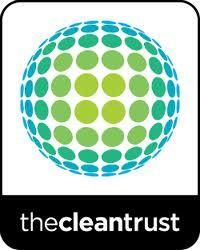 We use special upholstery cleaning solutions formulated specifically for upholstery fibers. We also employ the latest upholstery cleaning tools that allow a higher solution pressure and a more effective vacuum pressure to achieve maximum cleaning without the fear of over-wetting. Our upholstery cleaning tool has an open port vacuum chamber that allows the full kinetic force of the upholstery cleaning solution to pass over and across the fabric, not through it. It eliminates over-wetting and overspray, even under the highest water flow conditions. This all means that it cleans your furniture better and leaves the fabric much drier than standard upholstery cleaning tools, letting you get back to your lifestyle much sooner. 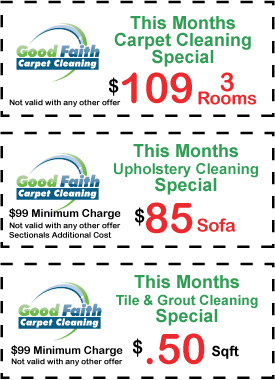 At Good Faith Carpet Cleaning great customer service is what gives us repeat business and referrals. Our reputation is our company’s greatest asset next to its staff. Give us a call today!